“Surprising in flavour, and not in cuts" is what sets Dehesa's new menu apart from its original. 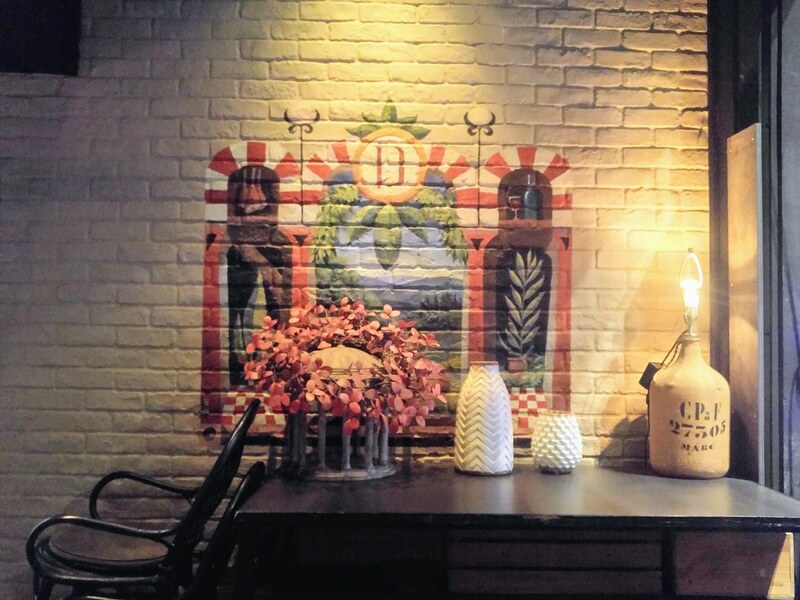 Located admist a row of bistros and cafes along North Canal Road, Dehesa (which in Spanish means “grasslands” – home of the Iberico pig) was conceptualised in 2015 as a nose to tail dining experience that showcased alternative cuts. But as Chef-Owner Jean-Philippe Patruno also wishes to engage diners who are more flavours driven, this new menu was born. For starters, we had a couple of one-ingredient dish from Chef's Specials. 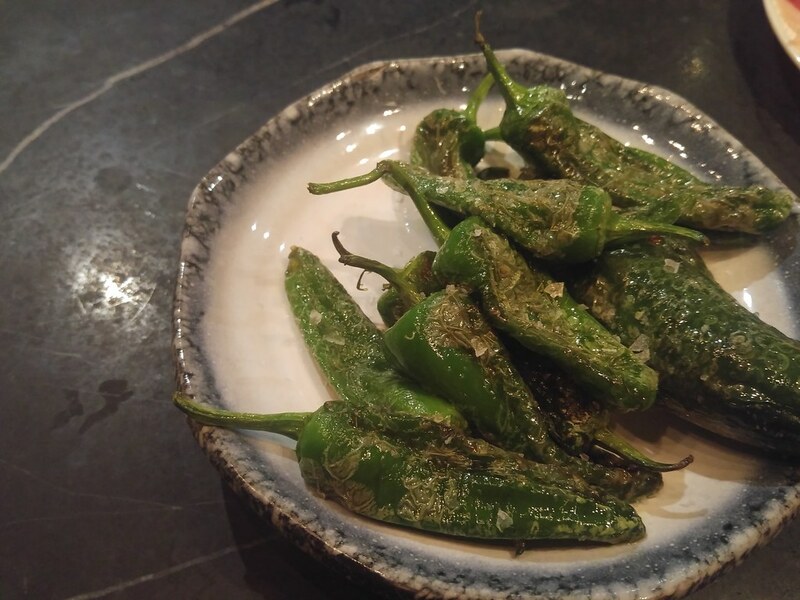 Pimientos De Padron ($14) is a traditional Spanish style blistered Padron peppers, a dish that either gives you the kick when done right or doesn't at all. With a skinny frame akin to green chilli, it still tastes rather sharp after roasting but blessed with the inherent sweetness of bell peppers. The sprinkle of sea salt seems to be an innocent gesture but is quintessential in making it right. Closer to the stalk is where the seeds resides and you might just love the kick of biting into it. Jamon De Bellota 100% Iberico 5J ($36). 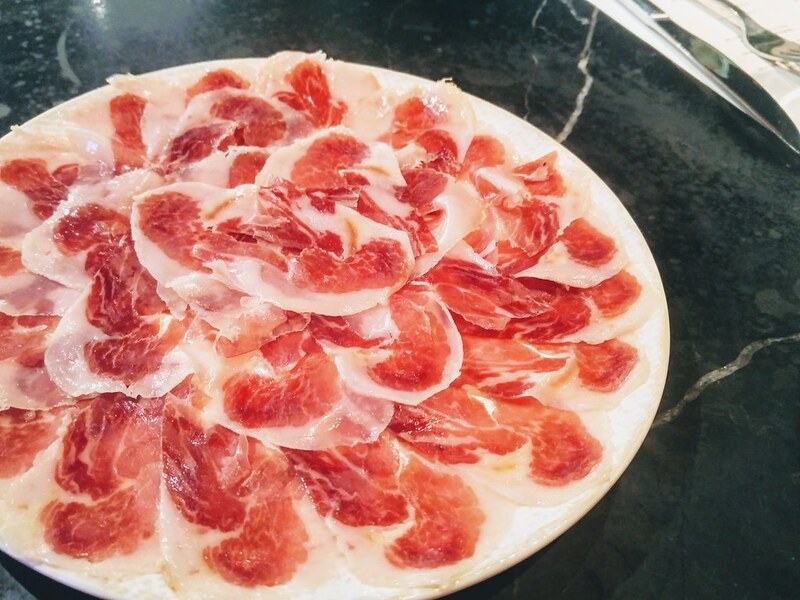 An iberico breed that can only be found in Spain, this plate of salt-cured Jamon Ham is known for its rich flavour due to its high fats content. That of course, translate to a more luscious mouthfeel as well. Great if you have a drink in hand! All Time Favourites offers dishes with familiar flavours but packed with a punch. 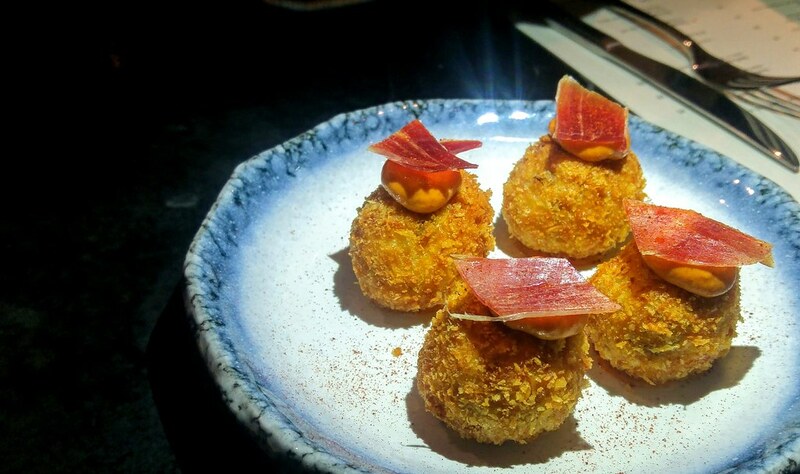 Croquetas 4 Pieces ($14) has a light and crispy exterior, and each piece is delish with creamy Bechemel sauce, enriched with Jamon ham. 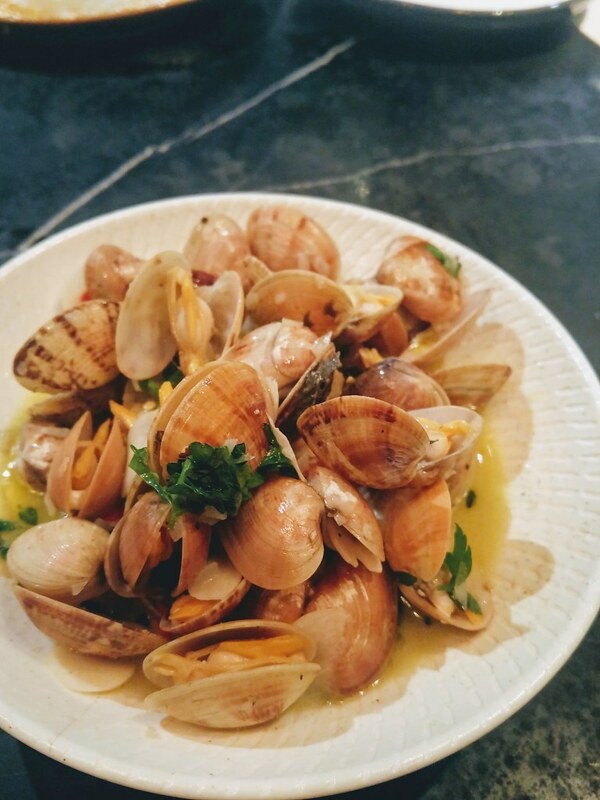 The smell of Sherry Lala ($18) - the combination of Sherry, butter and garlic, will just make you salivate. Looking at the creamy broth, again, I could only lament on the absence of bread to soak up the broth enriched by the juice that seeped out from the lala. Dehesa Octopus ($28) is a must-order from the list. Torch and melt in front of your eyes, visual feast on how the lard spreads over the octopus and eventually insulates each piece when cooled. It's a Spanish version of our braised pork belly Dong Po Rou! Alternative cuts are still here for diners who appreciate them and you could get them from Dehesa The Grasslands. Rather sceptical about how my acceptance level towards the dishes but be it the presentation or the taste of the dish, Chef makes me forget about my reservations. 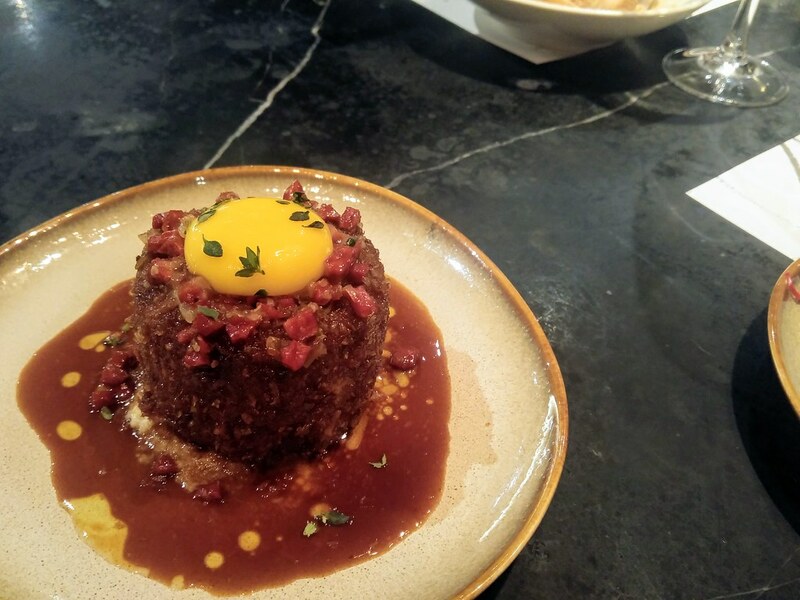 Crispy Pig's Head Dehesa Signature ($28), as its moniker, is like a fried pork rillettes made with the entire pig's head. 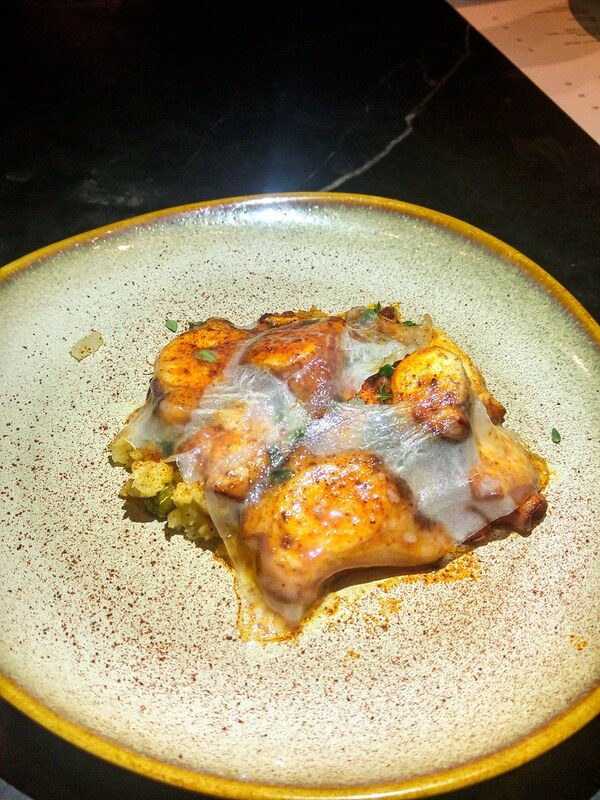 The flavours are strangely homely and inviting, a dish that you will keep going back for. I believe the pork has been simmered for very long in its own fats to attain such a soft texture and rich flavours which are all fortified by the fried crust. The crust which has a chewiness to it, is another element that the table will fight over for. Some toasts within reach would be great to deliver the luscious texture into my mouth and allow me to slowly savour it. 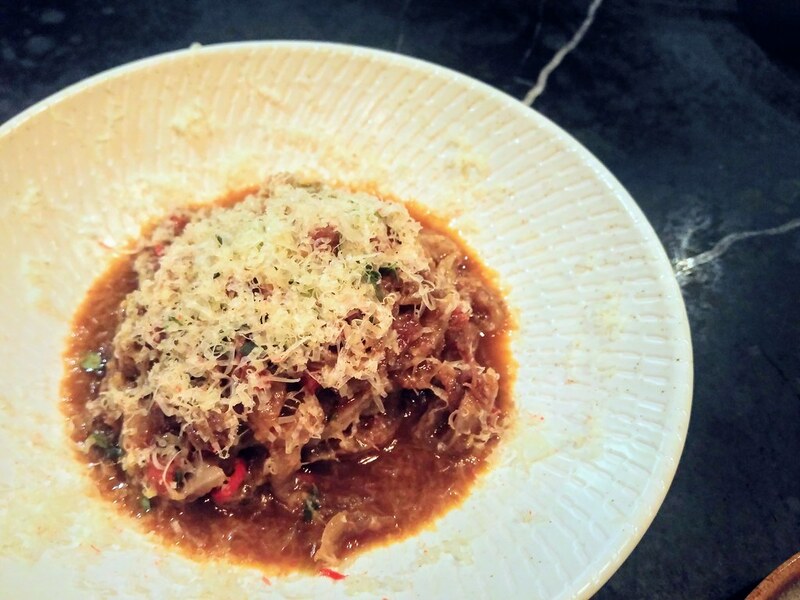 Pig Skin Tagliatelle, Ragout ($28) is another dish that took me by surprise. The pasta in this dish is actually made of pig skin. Its texture is springy, very much like Korean's potato starch noodles. I love how homely the meat and vegetable stew tastes, like a pot of stew served in winter. 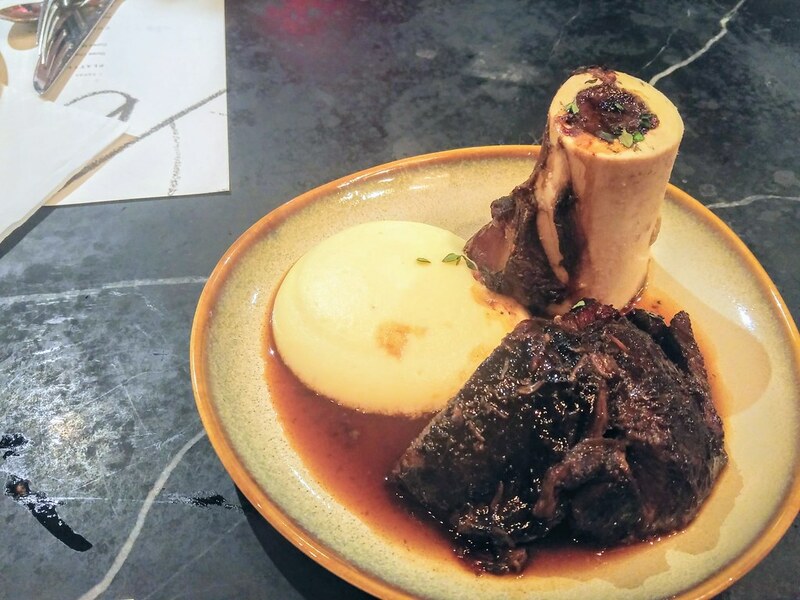 The towering bone marrow in Ox Cheek, Oloroso Glazed ($36) is surely eye catching. Ox cheeks was well done to fork tender, hence no complaints. The only thing that is missing - the action of me slathering the bone marrow onto a crostini. It's funny how often I wished for toasts throughout the dinner! 2 types of seafood Spanish style rice are available, in which we had the Squid which serves 2 pax ($28). 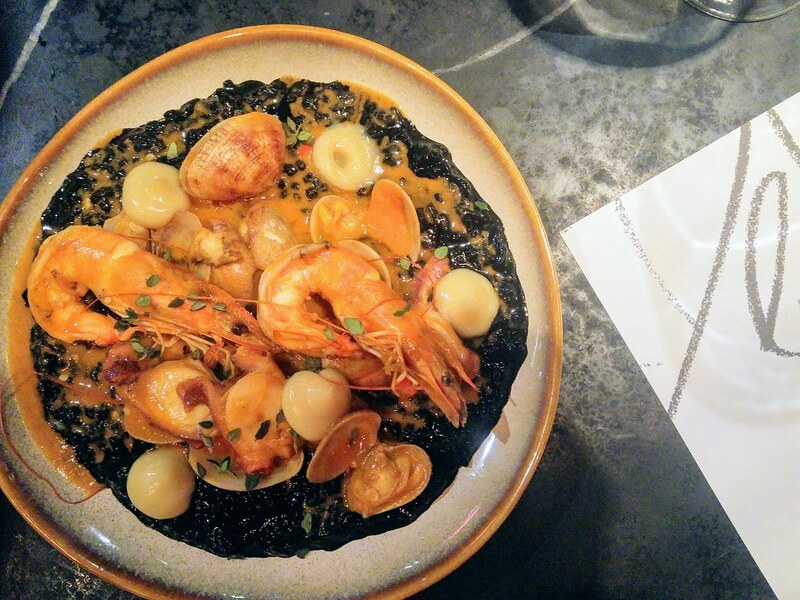 In pitch black squid ink, the rice was creamy, rich in ocean flavour but not too much. Gin Panna Cotta ($15) is a straight forward dessert but again, deliver an enjoyment beyond its simplicity. The touch of the deep bitter-sweetness from Gin balances the sweetness, along with a slight tartness from the berry compote. 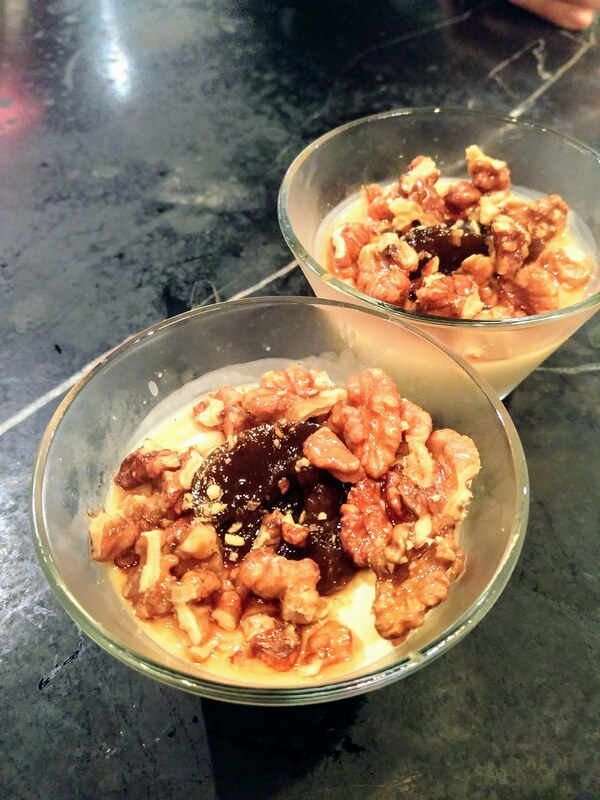 This creamy dessert also has a contrasting crunch to it, in the form of candied walnuts. 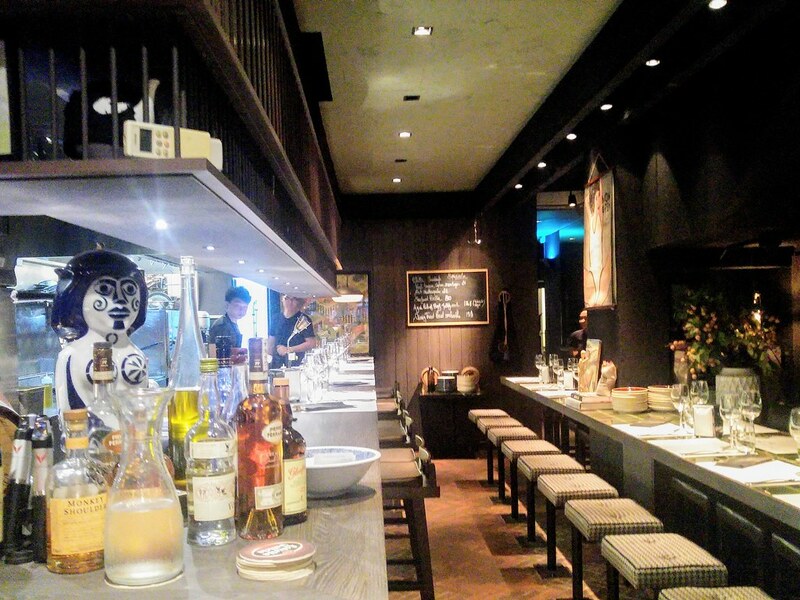 So elegant and refine are the dishes, that one's taste buds could readily relate to. As novel as Dehesa may sound, I certainly don't feel alienated at all. You may also head down for its latest brunch offering which is available every Sunday from 11.30am to 4pm, and priced at $58++ per pax. Free flow soft drinks, juice and coffee are available at an additional $20+ per pax while guests can enjoy free flow cava, house pours, soft drinks, juice and coffee for an additional $30+.